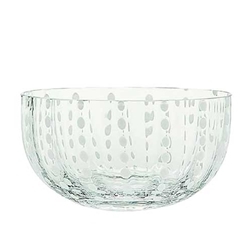 Italian Transparent Perle Bowl featuring points of vitreous luster strung like a pearl necklace. Suitable for formal settings or casual cocktails. Dishwasher safe.